The stellar play and fascinating backstories of exiled Cuban sluggers and hurlers in Major League Baseball (MLB) has become one of the biggest headlines in America's national pastime. On-field exploits by colorful Dodgers outfielder Yasiel Puig, American League rookie-of-the-year José Abreu, home run derby champion Yoenis Céspedes, radar-gun busting Cincinnati fast-baller Aroldis Chapman, and a handful of others have been further enhanced by feel-good tales of desperate Cuban superstars risking their lives to escape Fidel Castro’s communist realm and chase a celebrated American Dream of financial and athletic success. But a truly ugly underbelly to this story has also slowly emerged, one that involves human smuggling operations financed by Miami crime syndicates, operated by Mexican drug cartels, and conveniently ignored by big league ball clubs endlessly searching for fresh waves of international talent. 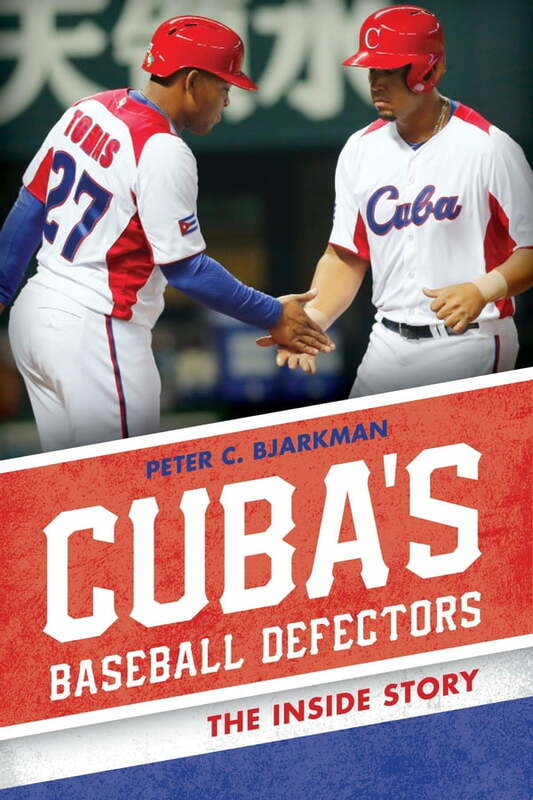 In Cuba’s Baseball Defectors: The Inside Story, Cuban baseball expert Peter C. Bjarkman reveals the complete truth behind the wave of Cuban big league talent coming to MLB. Given rare access to Cuba and its ballplayers, Bjarkman has spent over twenty years traveling to all corners of the island getting to know the top Cuban stars and witnessing their baseball struggles and triumphs. In this book, Bjarkman places recent events—including the apparent thaw in US-Cuba relations—in the context of Cuban baseball history and tradition before delving into the stories of the major Cuban stars who have left the island. He reveals the personal histories of these players, explains the events that led them to eventually choose defection from their homeland, and details their harrowing journeys to reach US shores and achieve baseball stardom. Players whose big league dreams failed are also discussed, as are Cuba’s recent efforts to stem the defection tide through working agreements with the Japanese and Mexican leagues. Unique in its balanced perspective of Cuban baseball and its star players, Cuba’s Baseball Defectors not only shares the author’s first-hand account of many previously misreported events, it also provides a view of the illegal smuggling of ballplayers from the perspective of Cuban baseball officials whose voices have often not been heard. With a conclusion outlining a likely scenario for future relations between Major League Baseball and the Cuban League, this book will fascinate baseball fans, those interested in the history of US-Cuba relations, and those wanting to learn more about the unsavory story of human trafficking in the name of baseball glory.